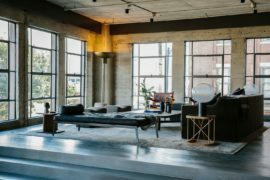 The adaptive reuse of old structures is a wonderful way to save on both time and resources while keeping the rich heritage and past of the building alive. 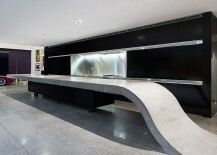 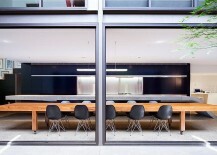 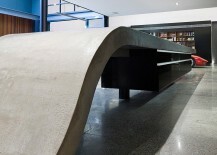 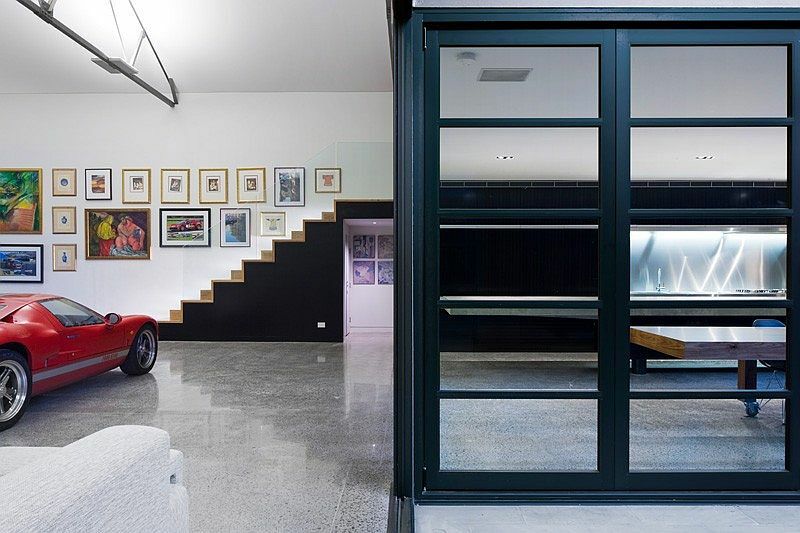 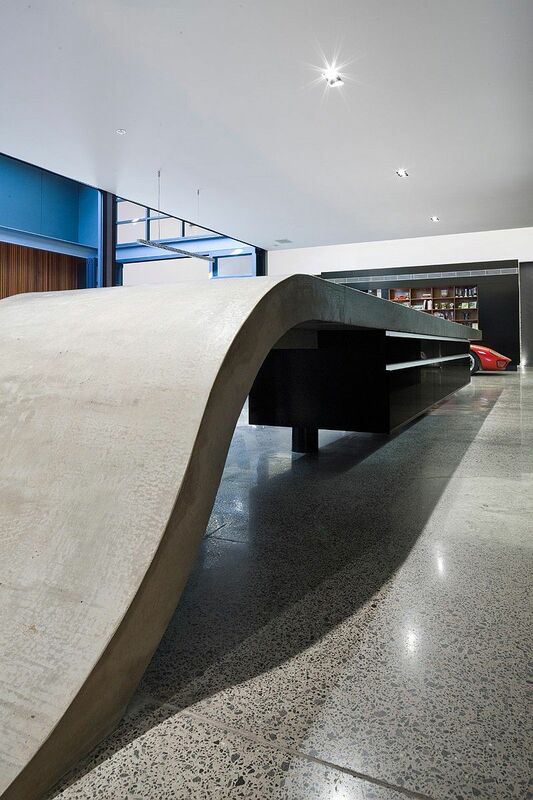 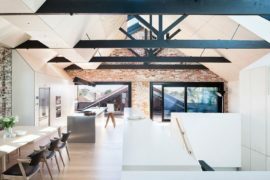 This is precisely the approach that Corben Architects took as they revamped an old and abandoned warehouse in Australia into a stylish modern home for a family of five. 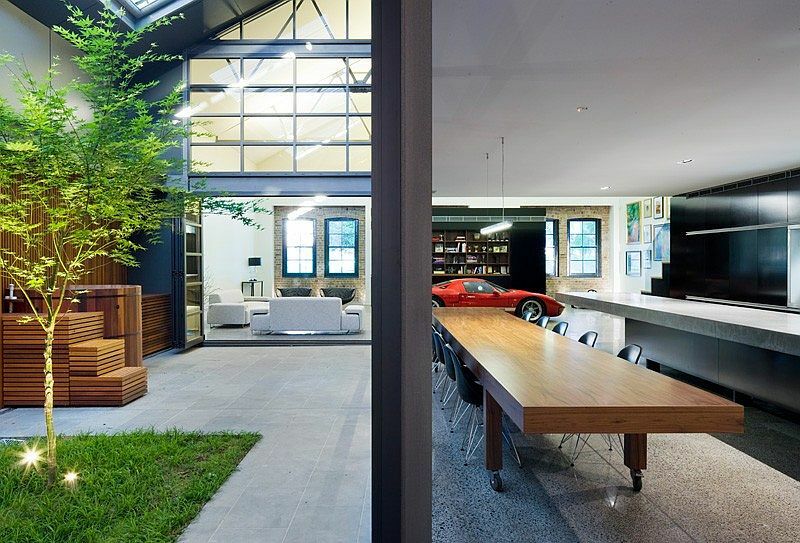 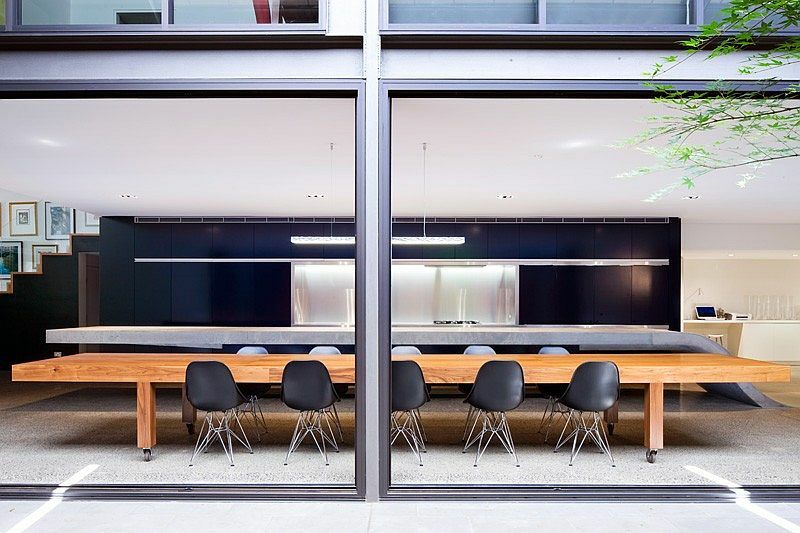 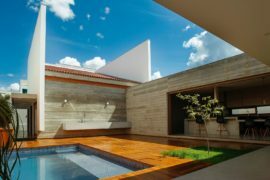 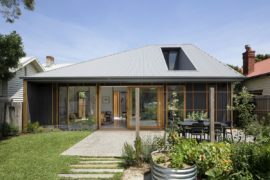 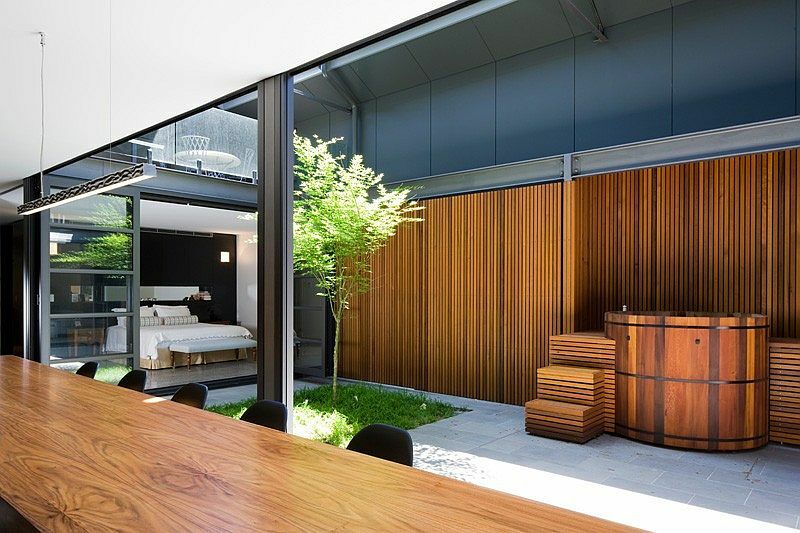 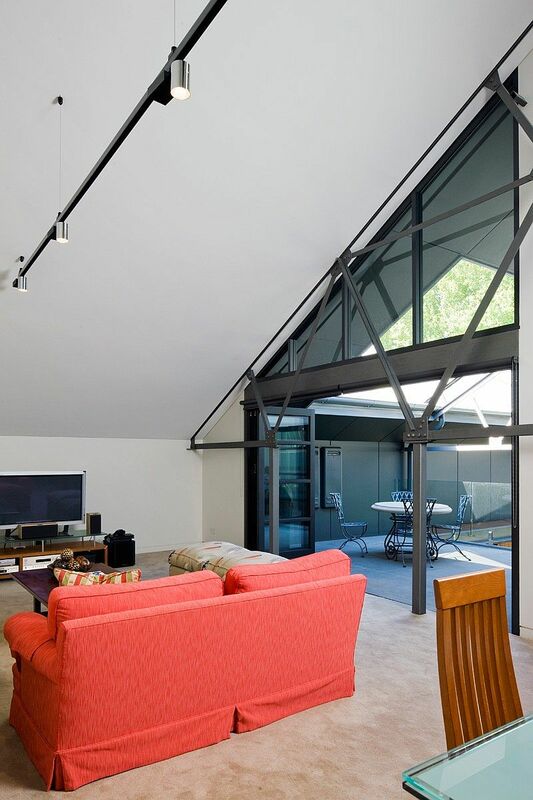 While much of the external façade of the warehouse and its roof trusses were left untouched due to the heritage issues, the interior was completely altered using a spacious central courtyard that enhances the family home both functionally and aesthetically. 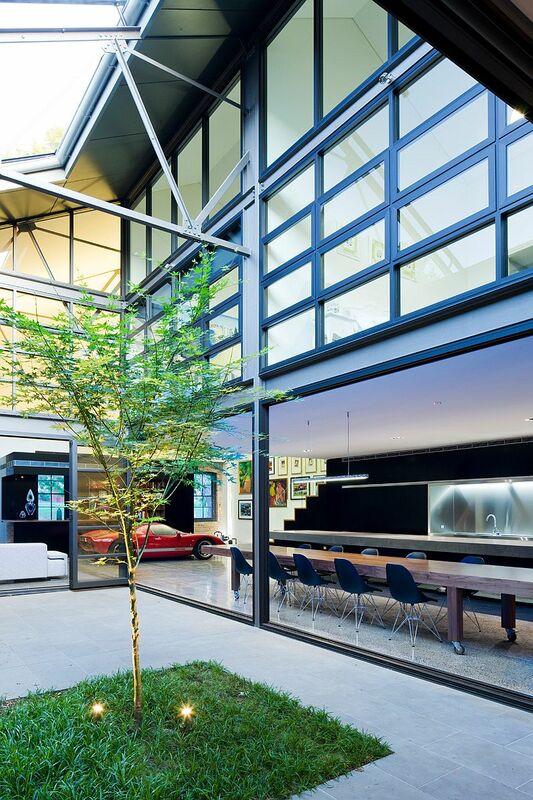 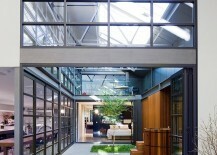 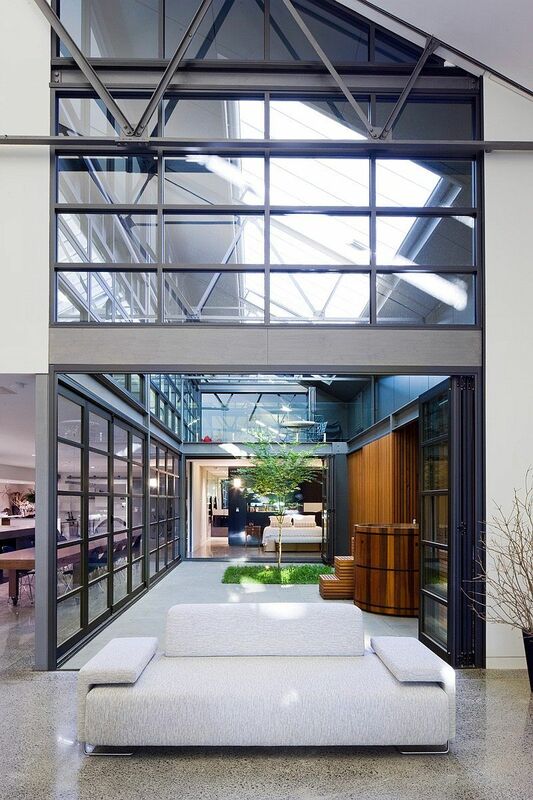 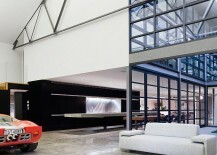 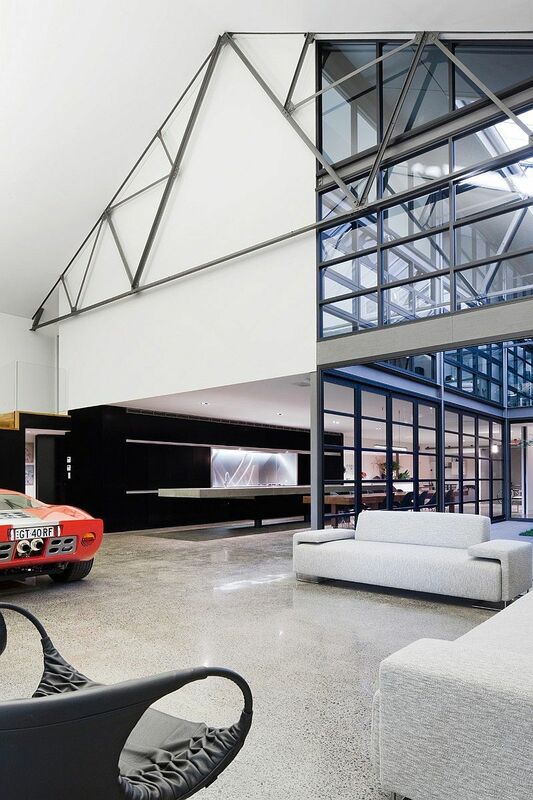 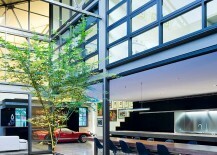 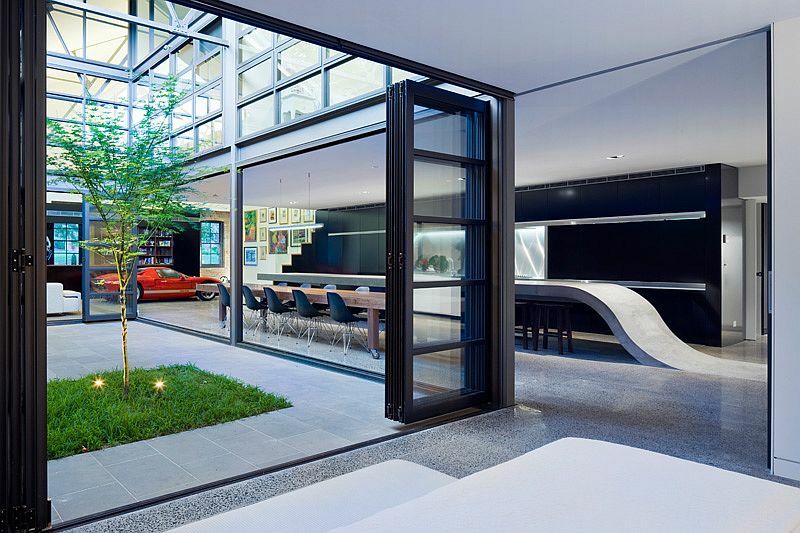 The central courtyard with a glass roof not only complements the industrial style of the warehouse residence with its large windows encased in dark, steel frames, but it also brings in a flood of natural light that filters through into every room of the elegant house. 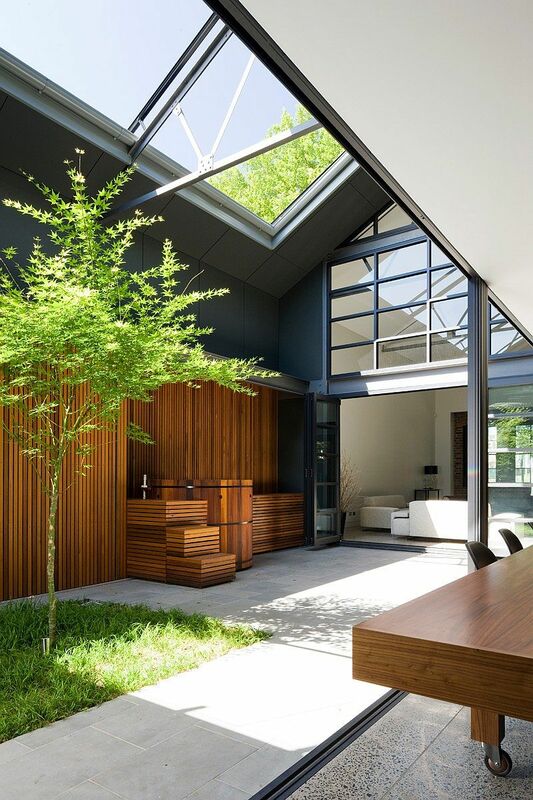 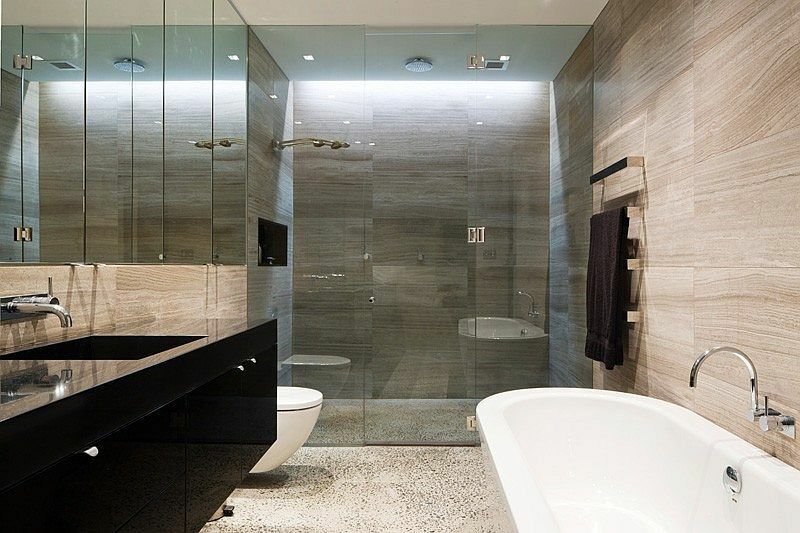 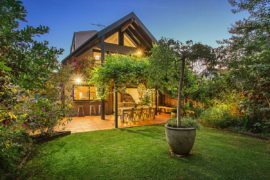 Sweeping, large spaces, an open plan living area with a unique kitchen and dining room, and bedrooms that offer ample privacy complete this amazing renovation. 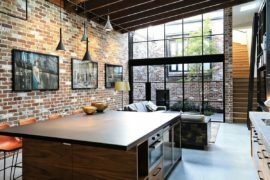 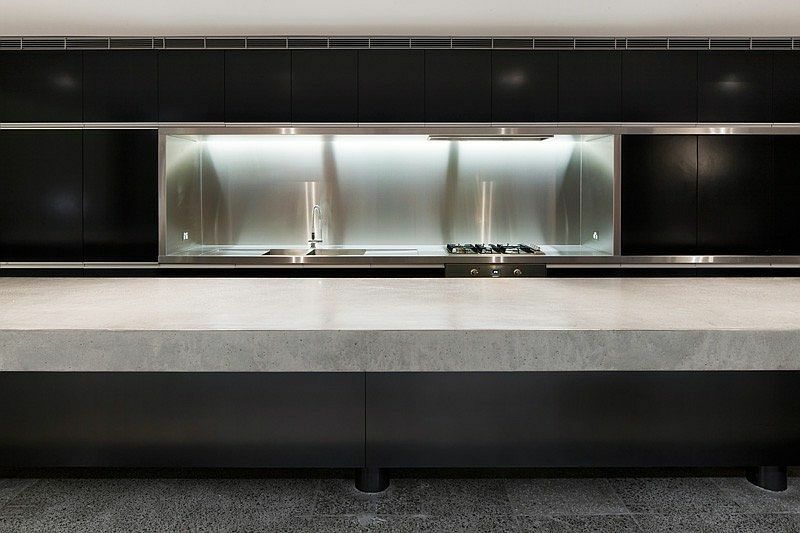 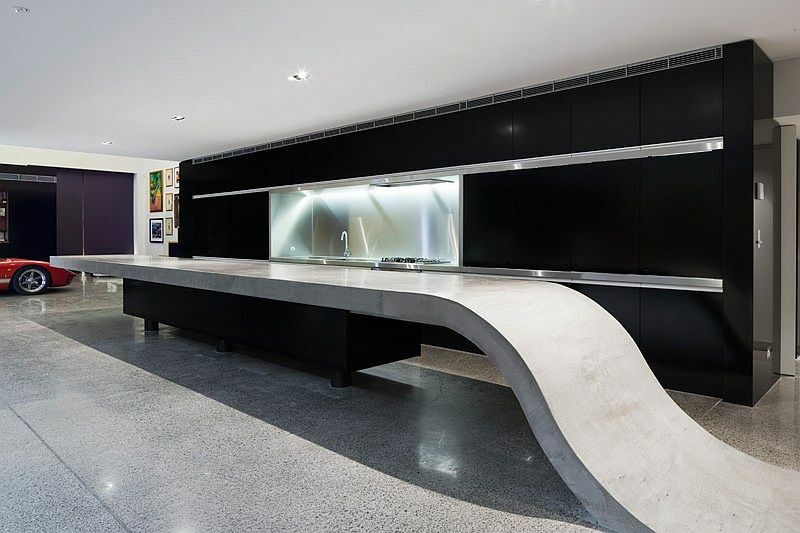 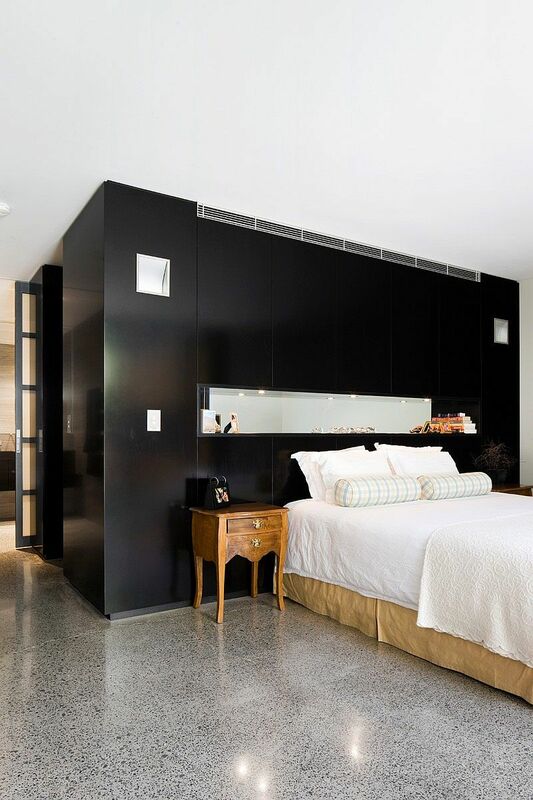 Contemporary minimalism is combined with industrial charm as additions such as the concrete kitchen island, custom black kitchen shelves, and intricate wooden walls provide visual intrigue at every turn. 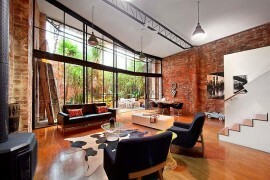 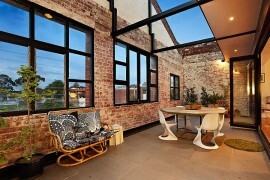 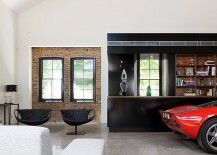 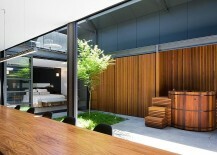 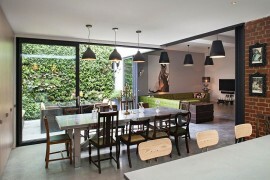 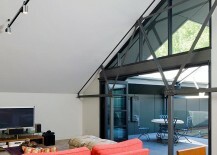 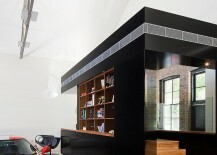 The living room maintains the high space of the original warehouse by retaining the existing roof trusses. 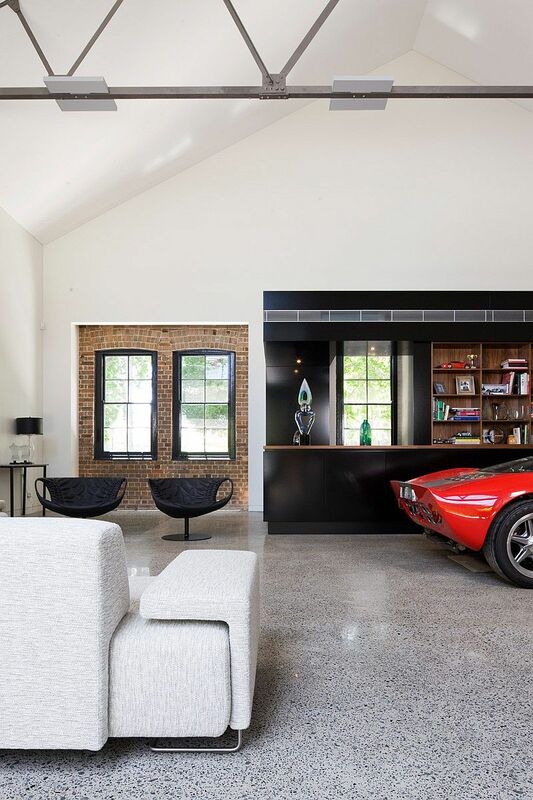 The original brickwork of the external wall has been exposed and the existing concrete floor polished, giving a further hint of its industrial past. 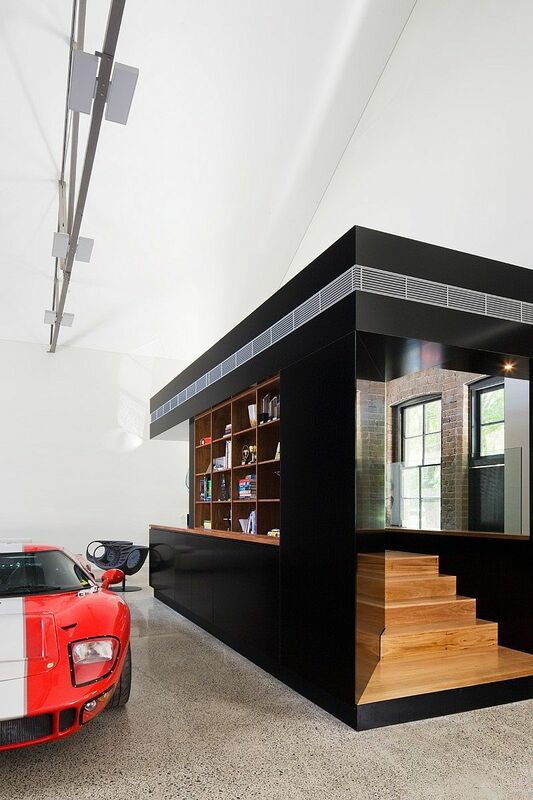 The main entrance and stair have been encapsulated by a piece of black and walnut joinery, providing useful storage and containing the air conditioning units.